At Dermatology & Skin Cancer Surgery Center, our mission is to provide outstanding medical and cosmetic dermatology services to patients of all ages. We use a three-pronged approach to all medical care: prevention, detection, and treatment. Dermatology & Skin Cancer Surgery Center is the leading medical provider in North Texas for skin cancer treatments. 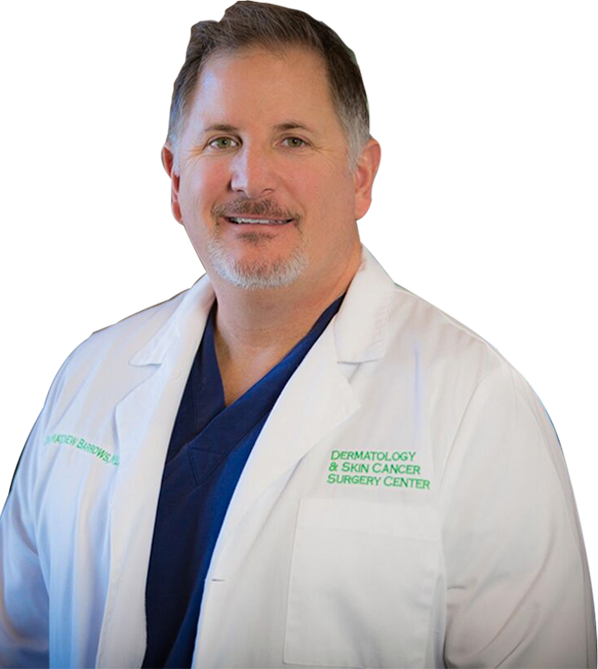 Dr. Matthew D. Barrows is one of the select dermatologists in North Texas to perform Mohs micrographic surgery as an option for treatment of skin cancer. We also offer other skin cancer treatment options including radiation therapy, cryosurgery, and topical chemotherapy. At Dermatology & Skin Cancer Surgery Center, we pride ourselves on our integrity and attention to each patient while utilizing the latest technology to achieve the best possible medical and cosmetic dermatology results. We have developed a trusted team of highly skilled healthcare professionals to provide compassionate care in comfortable and welcoming state-of-the-art facilities. Providing quality medical and cosmetic dermatological care is our top priority. We know that over time, you may seek a variety of dermatological services—from acne and eczema treatment to BOTOX® Cosmetic, Laser Hair Removal Treatment, or Mohs surgery for skin cancer. That’s why we offer a full range of services and treatments to cover all our patients’ dermatology needs now and in the future. Dermatology & Skin Cancer Surgery Center is a full service center for all your medical and cosmetic dermatology needs.